IIT Madras is partnering with Thales to design a SHAKTI RISC-V processor compatible with the highest Safety Critical standards. Indian Institute of Technology (IIT) Madras is partnering with Thales to design a SHAKTI RISC-V processor compatible with the highest Safety Critical standards. The collaboration will result in defining and prototyping a SHAKTI RISC-V based processor suitable for mix-criticality applications, including Safety Critical applications. As a result of this tie up, a fault-tolerant SHAKTI framework would be developed and will undergo evaluation by the world's top experts in Safety Critical Standards. Pursuant to their approval, it can be used in sensitive equipment used in defence, aerospace, space, and transportation sectors. 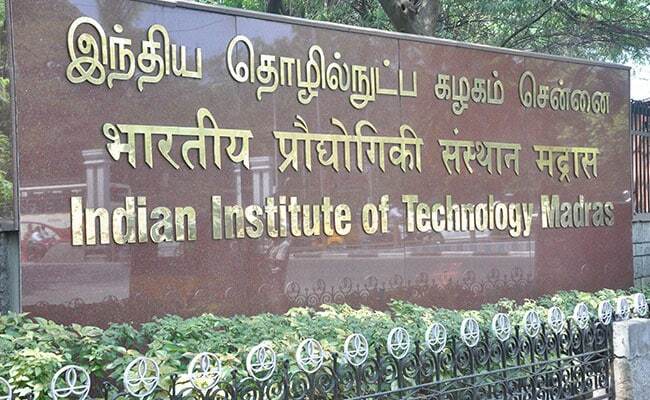 IIT Madras and Thales are going to take up joint research programs in many areas including aerospace, space, transportation, security and defence. IIT Madras Researchers had recently designed, fabricated and booted up India's first Indigenously-developed RISC V Microprocessor - 'Shakti'. The Shakti family of processors are targeted for mobile computing devices, embedded low power wireless systems and networking systems besides reducing reliance on imported microprocessors in Communications and Defence Sectors. The Microprocessor can be used by others as it is on par with International Standards. Speaking about the significance of this development, Lead Researcher Prof. Kamakoti Veezhinathan, Reconfigurable Intelligent Systems Engineering (RISE) Laboratory, Department of Computer Science and Engineering, IIT Madras, said, "After the two successful fabrication and booting of SHAKTI with two technology nodes, 22nm (Intel Fab, Orgeon USA) and 180nm (SCL Chandigarh fab, India), this tie-up with Thales is very exciting and certainly is a big step towards taking SHAKTI family to the global technology ecosystem." Further, Prof Kamakoti added, "With the advent of more and more safety critical systems adopting electronics hardware for intricate control and monitoring, fault-tolerance and security features are of prime importance in next generation processors. This tie-up with Thales, I am sure, will result in a detailed analysis of these features resulting in a framework that could be adopted for designing the next generation Shakti-based safety-critical systems." "By adopting an open approach to both hardware and software, this joint effort will create new opportunities for the design of mission-critical systems in all sectors, including aerospace, space, transportation, security and defence. With this, we look forward to taking our partnership, which was formed in March this year, to the next level" said Arnaud Samama, R&D computing manager, Thales Research & Technology.